Deputy Sub-Project Manager, the project entitled “Strengthening postgraduate research capability on collection, characterization and conservation of plant genetic resources”. Financed by HEQEP, World Bank-University Grants Commission (UGC) of Bangladesh, July 2015–November 2017. Principle researcher, the project entitled “Screening of Dhaincha genetic resources of Bangladesh against salinity stress”. Financed by MoST, GoB, July 2016–June 2017. Principle researcher, the project entitled “Collection and evaluation of dhaincha genetic resources of Bangladesh based on nitrogen fixing and organic matter accumulation capability in soil”. Financed by Bangladesh Agricultural University Research System (BAURES), January 2015–December 2016. Principle researcher, the project entitled “Dhaincha as a future renewable energy crop: Manipulation of biomass yield of some selected Dhaincha genetic resources of Bangladesh”. Financed by Ministry of Science and Technology (MoST), Government of Peoples Republic of Bangladesh (GoB), July 2015–June 2016. Principle researcher, the project entitled “Dhaincha as a Future Renewable Energy Crop: collection and evaluation of dhaincha genetic resources of Bangladesh based on chemical composition”. Financed by MoST, GoB, July 2014–June 2015. Member, Sub-Project Management Team, the project entitled “Strengthening postgraduate research capability on collection, characterization and conservation of plant genetic resources”. Financed by HEQEP, World Bank- UGC, Bangladesh, July 2014–June 2015. Principle researcher, the project entitled “Dhaincha as a future renewable energy crop: collection of dhaincha genetic resources in Bangladesh to select suitable genotype(s) for higher biomass yield”. Financed by MoST, GoB, July 2013–June 2014. Principle researcher, the project entitled “Collection and evaluation of Sesbania genetic resources of Bangladesh”. Financed by UGC, December 2012–November 2013. 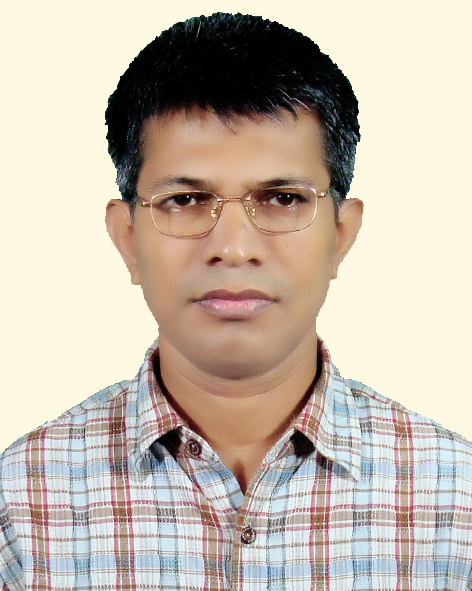 Principle researcher, the project entitled “Food Security in Bangladesh – Effect of low temperature on pollination biology and grain yield of rice”. Financed by BAURES, July 2011–June 2013. Associate Research Investigator, the project entitled “High yielding, disease resistant or stress tolerant taro cultivar development through somaclones selection from tissue culture derived plantlets”. Financed by MoST, GoB, July 2008–June 2009. Associate Research Investigator, the project entitled “Collection, characterization and preservation of tea genetic resources of Bangladesh. Financed by Bangladesh Agricultural Research Council, Bangladesh, (1997) 1998–1999 (2000). Scientific Officer, the project entitled “Legume Fodder Development Project” financed by Department for International Development (DFID, UK), January, 1998–June, 1998. Contemporary Approaches to Genetic Resources Conservation and Use, Centre for Development Innovation, Wageningen UR, the Netherlands. Public Procurement Management and Electronic Government Procurement (e-GP), HEQEP-AIF and Engineering Staff College, Bangladesh. Teaching Methods and Techniques, HEQEP-AIF, University Grants Commission of Bangladesh. WTO and Bangladesh, Bureau of Socioeconomic Research and Training, BAU, Bangladesh. Agricultural Statistics and Mstat C, Graduate Training Institute, BAU, Bangladesh. Scientific Report Writing, Graduate Training Institute, BAU, Bangladesh. Teaching Methods and Techniques, Olds College, Canada and Graduate Training Institute, BAU, Bangladesh. Modern Techniques of Taxonomic Practice, School of Plant Sci., University of Reading, UK. Chanda SC, Islam N, Tinne FJ and Sarwar AKM Golam. 2018. Screening of Sesbania accessions based on seed germination and seedling biomass. Arch Agric Environ Sci 3: 137-142. Chanda SC, Sarwar AKM Golam, Park PB and Hossain MA. 2018. Multivariate analysis for seed and seedling attributes of Sesbania genotypes. Scholars J Agric Vet Sci 5: 199-204. Chanda SC, Mridul A-M, Sagar A and Sarwar AKM Golam. 2017. Germination and seedling growth of Sesbania species as influenced by seed size. Progress Agric 28: 316-322. Chanda SC, Prodhan AKMA and Sarwar AKM Golam. 2017. Screening of Sesbania accessions based on early biomass yield. J. Bangladesh Agril. Univ. 15: 188-192. Chanda SC and Sarwar AKM Golam. 2017. Status of dhaincha incorporated soil after rice harvest in (Boro) rice–dhaincha–rice (T. Aman) cropping pattern. Agron. Res. Moldavia 50(4): 73-82. Sarwar AKM Golam, Hossain SMZ and Chanda SC. 2017. Effect of Dhaincha accessions on soil health and grain yield of rice. J. BioSci. Agric. Res. 13: 1140-1145. Sarker M, Sutradhar S, Sarwar AKM Golam, Uddin MN, Chanda SC and Jahan MS. 2017. Variation of chemical characteristics and pulpability of dhaincha (Sesbania bispinosa) on location. J. Bioresour. Bioprod. 2: 24-29. Karim MT, Haque F, Sarwar AKM Golam and Ali MA. 2016. Effect of storage condition on seed quality of some Dhaincha (Sesbania spp.) accessions. The Agriculturist 14: 83-91. Sarwar AKM Golam and Takahashi H. 2015. Pollen wall development in Enkianthus perulatus (Miq.) C.K. Schn. (Ericaceae, Enkianthoideae). Jpn. J. Palynol. 61: 1-9. Sarwar AKM Golam, Islam A and Jahan S. 2015. Characterization of dhaincha accessions based on morphological descriptors and biomass production. J. Bangladesh Agril. Univ. 13: 55-60. Sarwar AKM Golam. 2015. Medicinal plant genetic resources of Bangladesh – Genera represented by single species and their conservation needs. J. Med. Plants Stud. 3: 65-74. Jahan S, Sarwar AKM Golam, Hossain MA and Fakir MSA. 2013. Floral morphology and seed yield in two Indigofera spp. as affected by shoot clipping. J. Bangladesh Agril. Univ. 11: 61-66. Sarwar AKM Golam, Karim MA and Rana SMAM. 2013. Influence of stomatal characteristics on yield and yield attributes of rice. J. Bangladesh Agril. Univ. 11: 47-52. Sarwar AKM Golam. 2013. Genera represented by single species in the flora of Bangladesh and their conservation needs – A review. J. Today’s Biol. Sci. : Res. Rev. 2: 68-83. Sarwar AKM Golam, Ito T and Takahashi H. 2012. Ontogenetic development of pollen tetrads in Vaccinium smallii A. Gray (Ericaceae). Jpn. J. Palynol. 58: 61-71. Hossain MI, Ahmed M, Mamun MSA and Sarwar AKM Golam. 2012. Yield and quality performances of four tea test clones. J. Bangladesh Agril. Univ. 10: 33-38. Araki H, Sarwar AKM Golam, Hirata T and Hoshino Y. 2012. Weed control, carbon storage and yield in asparagus field with living mulch. Acta Hort. 950: 189-194. Araki H, Sarwar AKM Golam, Nakano H, Takamushi S, Ichikawa S, Jishi T and Hoshino Y. 2012. Biomass production and yield of recent asparagus cultivars in snow cover region, Hokkaido, Japan: IACT report. Acta Hort. 950: 195-199. Sarwar AKM Golam and Prodhan AKMA. 2011. Study on the Cyperaceous weeds of Bangladesh Agricultural University campus. J. Agrofor. Environ. 5: 89-91. Malaker JC, Rahman MM, Prodhan AKMA, Malaker SK and Sarwar AKM Golam. 2010. Ethnological and sustainable livelihood studies of the Garo community in Madhupur sal forest (Tangail) of Bangladesh. Bangladesh J. Progress. Sci. Technol. 8: 141-146. Khatun A, Sarwar AKM Golam, Islam MO and Prodhan AKMA. 2008. Effect of GABA on morphology, yield and yield attributes in T. aman rice cv. BR-11. Bangladesh J. Crop Sci. 19: 181-184. Sarwar AKM Golam, Ito T and Takahashi H. 2008. An overview of pollen morphology in subfamily Arbutoideae (Ericaceae), and its systematic significance. Jpn. J. Palynol. 54: 79-92. Sarwar AKM Golam, Sultana J, Islam MO and Prodhan AKMA. 2008. Effect of Miyodo on morphology, yield and yield attributes in T. aman rice cv. BR-11. Progress. Agric.19: 45-49. Sarwar AKM Golam. 2008. Photoblastism in cultivated rice (Oryza sativa L.) cv. Madhabshailboro. Bangladesh J. Seed Sci. Techn. 12: 137-140. Sarwar AKM Golam, Malaker JC and Dutta MJ. 2008. Floristic composition in the campus of Bangladesh Tea Research Institute – I. Angiosperms. J. Agrof. Env. 2: 147-152. Sarwar AKM Golam and Takahashi H. 2007. An overview of pollen morphology and its systematic significance in tribe Vaccinieae (Vaccinioideae; Ericaceae). Jpn. J. Palynol. 53: 87-104. Islam MT, Prodhan AKMA and Sarwar AKM Golam. 2007. Root anatomy of country bean. Int. J. Agric. Res. 2: 508-517. Hossain MA, Uddin MN and Sarwar AKM Golam. 2007. Toxicity of arsenic on germination and seedling growth of rice. J. Bangladesh Soc. Agric. Sci. Technol.4:153-156. Sarwar AKM Golam and Takahashi H. 2006a. Pollen morphology of Pieris D. Don (Lyonieae, Ericaceae) and its taxonomic significance. J. Jpn. Bot. 81: 225-234. Sarwar AKM Golam and Takahashi H. 2006c. The taxonomic significance of pollen morphology in Andromedeae s.s., Gaultherieae, Lyonieae and Oxydendreae (Ericaceae: Vaccinioideae). Jpn. J. Palynol. 52: 77-96. Sarwar AKM Golam, Ito T and Takahashi H. 2006a. An overview of pollen morphology and its relevance to the sectional classification of Vaccinium L. (Ericaceae). Jpn. J. Palynol. 52: 15-34. Sarwar AKM Golam, Ito T and Takahashi H. 2005. Pollenkitt ropes in Notopora schomburgkii Hook. f. (Ericaceae, Vaccinieae). Jpn. J. Palynol. 51: 65-68. Islam MT, Prodhan AKMA, Bari SMA and Sarwar AKM Golam. 2005. Anatomy of hypocotyl of country bean. Asian J. Plant Sci. 4: 323-333. Chowdhury MRI, Sarwar AKM Golam and Farooque AM. 2002. Effect of different methods of urea application on growth and yield in potato. Asian J. Plant Sci. 1: 672-674. Sarwar AKM Golam and Ali MA. 2002. Studies on the leaf epidermis of rice (Oryza sativa L.). Indian J. Agric. Res. 36: 24-28. Sarwar AKM Golam and Dutta MJ. 2002. Use of variations in morphological characteristics for identification of Bangladesh tea clones. Sri Lanka J. Tea Sci. 67: 47-53. Chowdhury MRI, Sarwar AKM Golam and Farooque AM. 2002. Effect of nitrogen and methods of its application on growth and yield in potato. Online J. Biol. Sci. 2: 616-619. Talukder FAH, Chanda SC, Sarwar AKM Golam, Bhander PK and Islam MN. 2001. Early vegetative growth and fibre yield in Tossa Jute (Corchorus olitorius L.). Pakistan J. Biol. Sci. 4: 665-667. Talukder FAH, Chanda SC, Islam MS and Sarwar AKM Golam. 2001. Effect of seed filling period on quality of white jute (Corchorus capsularis L.) seed. Online J. Biol. Sci. 1: 365-367. Chawdhury MA and Sarwar AKM Golam. 2000. Effect of Gibberelic acid and soil salinity on germination, yield and yield components of maize. Thai J. Agric. Sci. 33: 115-122. Sarwar AKM Golam, Ali MA and Prodhan AKMA.1999. Variability in grain morphology of some cultivated rice in Bangladesh. Indian J. Agric. Res. 33: 40-44. Sarwar AKM Golam and Ali MA. 1998. Variation of panicle structure in different rice cultivars. Progress. Agric. 9: 195-199. Dutta MJ and Sarwar AKM Golam. 1998. Comparative study on the early growth performances of four tea seed stocks. Tea J. Bangladesh 34: 33-40. Sarwar AKM Golam and Chanda SC. 2018. Morphology of a multiple seeded rice (Oryza sativa L.) cultivar of Bangladesh. Poster Pres. Abs. 5th Int. Rice Cong., Marina Bay Sandas, Singapore, October 14-17, p.
Islam MM, Haque MS, Polash MAS, Sardar SA and Sarwar AKM Golam. 2018. Screening of cowpea (Vigna unguiculata (L.) Walp.) genotypes for salt stress tolerance. 7th Int. Legume Conf., Sendai, Japan, August 29–September 02, p.
Chanda SC, Hossain MA and Sarwar AKM Golam. 2018. Genetic variability, heritability and genetic advance determination in Sesbania genotypes by using the multivariate analysis. 7th Int. Legume Conf., Sendai, Japan, August 29–September 02, p.
Chanda SC, Hossain MA and Sarwar AKM Golam. 2018. Reproductive biology of Sesbania species. Proc. Int. Conf. Agric. Allied Sci. : Prod., Food Sec. Ecol., Mohanpur (WB), India, August 13-14, p.
Abdullah MR, Sarwar AKM Golam and Rahman MM. 2018. Threatened climbers of Karnaphuli Reserve forest, Rangamati, Bangladesh. ATBC 2018, Sarawak, Malaysia, July 01-05, p.
Chanda SC, Hossain MA and Sarwar AKM Golam. 2018. Biomass yield of Sesbania spp. as influenced by different date of sowing. Abs. 5th Int. Conf. Nat. Sci. Technol., Chittagong, Bangladesh, March 30-31, p. 52. Abdullah MR, Jahan R, Sarwar AKM Golam and Rahman MM. 2018. Fruits from wild and its importance in livelihood: study from a small tribe village of Kaptai reserve forest, Rangamati, Bangladesh. Int. Conf. Res. Ext. Sustain. Rural Dev., Bogra, Bangladesh, February 15-16, p. 65-66. Chanda SC, Ali MA and Sarwar AKM Golam. 2018. Cost-benefit analysis of Aman and Boro rice in Sirajganj district. Int. Conf. Res. Ext. Sustain. Rural Dev., Bogra, Bangladesh, February 15-16, p. 110-111. Abdullah MR, Sarwar AKM Golam and Rahman MM. 2018. Wild edible fruit and its importance in the livelihood of tribals: A case study from Karnaphuli Reserve forest, Kaptai, Rangmati. Abs. 1st Int. Conf. Challan. Future Agric. 2018, Bangladesh Agricultural Univ., Mymensingh, Bangladesh, January 27-28, p.
Chanda SC, Hossain MA, Sarwar AKM Golam, Rahman MM and Shamsuzzaman ANM. 2018. Assessment of genetic variation of Sesbania bispinosa for seed traits. Abs. 1st Int. Conf. Challan. Future Agric. 2018, Bangladesh Agricultural Univ., Mymensingh, Bangladesh, January 27-28, p.
Haque ME, Haque MS, Sarwar AKM Golam, Abdullah MR and Hossain AKMZ. 2018. Morpho-physiological response of sorghum germplasms to salinity stress in hydroponic culture. Abs. 1st Int. Conf. Challan. Future Agric. 2018, Bangladesh Agricultural Univ., Mymensingh, Bangladesh, January 27-28, p.
Jannat-E-Tajkia, Sagar A and Sarwar AKM Golam. 2018. Study on the Cyperaceous weeds of Bangladesh Agricultural University. Abs. 1st Int. Conf. Challan. Future Agric. 2018, Bangladesh Agricultural Univ., Mymensingh, Bangladesh, January 27-28, p.
Chanda SC, Hossain MA, Prodhan AKMA and Sarwar AKM Golam. 2017. Multivariate analysis for seed and seedling attributes of Sesbania genotypes. 7th Int. Bot. Conf., Dhaka, Bangladesh, December 2-3 (held in February 3-4, 2018), p. 71. Chanda SC, Islam MM, Sagar A and Sarwar AKM Golam. 2017. Sesbania: Reproductive morphology. Abs. 4th Int. Symp. Minor Fruits, Med. Arom. Plants (ISMF M&AP), Pasighat (Arunachal), India, December 5-6, p. 97. Chanda SC and Sarwar AKM Golam. 2017. Biomass yield of Sesbania species as influenced by plant density. Souv. 16th Conf. Bangladesh Soc. Agron., Dhaka, Bangladesh, October 28, p. 70. Chanda SC, Mridul A-M, Sagar A, Prodhan AKMA and Sarwar AKM Golam. 2017. Effect of seed size on germination and seedling growth of Sesbania species. Proc. Nat. Conf. ‘Food Nutri. Secur. Bangladesh: Interdis. Approach., Dhaka, Bangladesh, October 7-8, p. 34. Sarwar AKM Golam. 2017. Ethno-Medicinal plant resources of Bangladesh – their conservation status at the botanical garden of Bangladesh Agricultural University Abs. 2nd Int. Conf. Plant Sci. & Physiol., Bangkok, Thailand, June 26-27, p. 24. Sarwar AKM Golam and Chanda SC. 2017. Collection and evaluation of dhaincha genetic resources of Bangladesh based on nitrogen fixing and organic matter accumulation capability in soil. BAU Res. Prog. 27: 78-79. Sarwar AKM Golam and Uddin MN. 2017. Dhaincha as a future renewable energy crop: manipulation of biomass yield of some selected Dhaincha genetic resources of Bangladesh. BAU Res. Prog. 27:79. Chanda SC, Prodhan AKMA and Sarwar AKM Golam. 2017. Screening of dhaincha accessions based on biomass yield. AGROTECH-2017, Kalimpong, India. May 11-12, p. 1. Chanda SC, Prodhan AKMA and Sarwar AKM Golam. 2017. Utility of seed and seedling morphological descriptors for identification of dhaincha (Sesbania spp.) accessions. 1st Int. Conf. Bio-resour. Environ. Agric. Sci., Bishaw Bharati, India. February 4-6, p. 6. Chanda SC, Tinne FJ, Islam N, Prodhan AKMA and Sarwar AKM Golam. 2017. Screening of Sesbania accessions based on seed germination and seedling growth. Abs. Ann. Gen. Meet. 2017, Bangladesh Bot. Soc., Rajshahi Univ., Bangladesh, February 04, p. 110-111. Sarwar AKM Golam and Chanda SC. 2016. Dhaincha an under-utilized crop for soil health improvement and poverty eradication. 7th International Seminar of Regional Network for Poverty Eradication (RENPER7), Mymensingh, Bangladesh, November 13–17, p. 132. Sarwar AKM Golam. 2016. Dhaincha as a future green energy crop: collection and evaluation of Dhaincha genetic resources of Bangladesh based on biomass yield and chemical composition. Proc. 7th Int. Sem. Green Tech. Soc., Dhaka, Bangladesh, January 30, p. 42. Sagar A, Jannat-E-Tajkia and Sarwar AKM Golam. 2015. Graminaceous weed flora in Bangladesh Agricultural University. Abs. Ann. Gen. Meet. 2015, Bangladesh Bot. Soc., Jahangirnagar Univ., Bangladesh, December 4-5, p. 76. Sarwar AKM Golam. 2015. Medicinal plant genetic resources of Bangladesh – Genera represented by single species and their conservation needs. Abs. 3rd ISMF M&AP, Mymensingh, Bangladesh, May 21-22, p. 41. Sarwar AKM Golam and Islam A. 2014. Dhaincha as a future renewable energy crop: collection of dhaincha genetic resources in Bangladesh to select suitable genotype(s) for higher biomass yield. BAU Res. Prog. 25: 40. Sarwar AKM Golam and Islam A. 2014. Collection of Dhaincha genetic resources in Bangladesh to select suitable genotype(s) for higher biomass yield. 6th Int. Bot. Conf., Dhaka, Bangladesh, December 6-7, p. 62. Sarwar AKM Golam, Sohel SA and Islam MA. 2014. Pollination biology and grain yield of rice as affected by air temperature and relative humidity. Poster Pres. Abs. 4th Int. Rice Cong., Bangkok, Thailand, October 27-31, p. 285. Hossain MA, Islam MA and Sarwar AKM Golam. 2014. Grain filling and remobilization of culm reserves to grains in three Bangladeshi rice cultivars. Poster Pres. Abs. 4th Int. Rice Cong., Bangkok, Thailand, October 27-31, p. 382. Sarwar AKM Golam. 2014. Plant biodiversity and conservation education for sustainable development of Bangladesh. Proc. 5th Int. Sem. Educ. Sustain. Dev., Dhaka, Bangladesh, March 1, p. 35. Sarwar AKM Golam and Islam MA. 2014. Pollination biological features and grain yield of rice as affected by air temperature and day length. Seminar on Seeds for the Future Generations, Mymensingh, Bangladesh, February 10, p. 15. Islam MA, Sarwar AKM Golam and Hossain MA. 2014. Grain filling and contribution of culm reserves to grain yield in rice. Seminar on Seeds for the Future Generations, Mymensingh, Bangladesh, February 10, p. 14. Sarwar AKM Golam and Islam MA. 2013. Food security in Bangladesh – Effect of low temperature on pollination biology and grain yield in rice. BAU Res. Prog. 24: 27. Sarwar AKM Golam. 2013. Genera represented by single species in the angiospermic flora of Bangladesh and their conservation. Abs. Int. Biotech. Conf., Comm. Act. Res. Ext. Serv., The Westin, Dhaka, Bangladesh, May 25-26, p. 46. Jahan S, Fakir MSA and Sarwar AKM Golam. 2013. Study on floral biology and seed yield in two Indigofera spp. Abs. Ann. Gen. Meet. 2013, Bangladesh Bot. Soc., Chittagong Univ., Bangladesh, January 05, p. 49. Sohel SA, Ashrafuzzaman M and Sarwar AKM Golam. 2013. Effect of low temperature on floral biology, spikelet sterility and yield in boro rice. Abs. Ann. Gen. Meet. 2013, Bangladesh Bot. Soc., Chittagong Univ., Bangladesh, January 05, p. 48-49. Sarwar AKM Golam and Sohel SA. 2012. Food security in Bangladesh – Effect of low temperature on pollination biology and grain yield in rice. BAU Res. Prog. 23: 29. Sohel SA, Sarwar AKM Golam and Ashrafuzzaman M. 2012. Study on floral biology and spikelet sterility in boro rice. Abs. Ann. Plant Taxon. Conf. 2012, Bangladesh Plant Taxon. Assoc., Dhaka, Bangladesh, December 22, p. 3-4. Sarwar AKM Golam and Takahashi H. 2012. Pollen morphology and tribal classification of the subfamily Ericoideae (Ericaceae). 13th Int. Palynol. Cong. /9th Int. Org. Palaeobot. Conf., Tokyo, Japan, August 23-30, Jpn. J. Palynol. 58 (Spec. Issue Abs. : IPC/IOPC 2012): 204. Sarwar AKM Golam, Hoshino Y and Araki H. 2012. Pollen morphology of Bomarea (Alstroemeriaceae) and its systematic significance. 13th Int. Palynol. Cong. /9th Int. Org. Palaeobot. Conf., Tokyo, Japan, August 23-30, Jpn. J. Palynol. 58 (Spec. Issue Abs. : IPC/IOPC 2012): 203-204. Jahan S, Sarwar AKM Golam and Fakir MSA. 2012. Study on floral morphology and seed yield in two Indigofera L. species. 3rd Int. Seed Conf. Fair, Mymensingh, Bangladesh, February 08-10, p. 44. Sarwar AKM Golam, Hoshino Y and Araki H. 2010. Pollen morphology and infrageneric classification of Alstroemeria L. (Alstroemeriaceae). Proc. 9th Ann. Meet. Japanese Soc. Plant Systematics, Aichi, Japan, March 26-28, p. 65. Sarwar AKM Golam, Hoshino Y and Araki H. 2010. Pollen morphology of Alstroemeria L. (Alstroemeriaceae) and the taxonomic utility of quantitative pollen characters. 28th Int. Hort. Cong., Lisbon, Portugal, August 22-27, Abstracts II: 458. Sarwar AKM Golam and Araki H. 2010. Monotypic taxa, their taxonomic implications and conservation needs in Bangladesh. Proc. Int. Conf. Environ. Aspec. Bangladesh, Kitakyushu, Japan, September 04, pp. 55-57. Sarwar AKM Golam, Hoshino Y and Araki H. 2010. Pollen morphology of Bomarea Mirbel (Alstroemeriaceae) and the taxonomic utility of quantitative pollen characters. Abs. 51st Ann. Meet. Palynol. Soc. Japan, Tokyo, Japan, October 08-10, p. 41. Sarwar AKM Golam. 2009. Fascinating pollen – A taxonomist view (Award winning lecture). Abs. 50th Ann. Meet. Palynol. Soc. Japan, Kyoto, Japan, October 16-18, pp. 9-10. Araki H, Sarwar AKM Golam, Hirata T and Hoshino Y. 2009. Weed control, carbon storage and yield in asparagus field with living mulch. XII Int. Asparagus Symp., Lima, Peru, October 29-November 01, Abstracts, p. 106. Araki H, Sarwar AKM Golam, Nakano H, Takamushi S, Ichikawa S, Jishi T and Hoshino Y. 2009. Biomass production and yield of recent asparagus cultivars in snow cover region, Hokkaido, Japan: IACT report. XII Int. Asparagus Symp., Lima, Peru, October 29-November 01, Abstracts, p. 108. Sarwar AKM Golam and Takahashi H. 2006. Pollen morphology of Vaccinium L. (Ericaceae, Vaccinioideae) and its systematic significance. Proc. 5th Ann. Meet. Japanese Soc. Plant Systematics, Okinawa, Japan, March 18-20, p. 60. Sarwar AKM Golam and Takahashi H. 2005. Pollen morphology of Enkianthus Lour. (Ericaceae) and its taxonomic significance. XVII International Botanical Congress, Vienna, Austria, July 17-23, Abstracts, p. 415. Prodhan AKMA, Hossain MZ and Sarwar AKM Golam. 1998. Root anatomy of Sesbania formosa. The 20th Bangladesh Science Conf., Bangladesh University of Engineering and Technology, Dhaka, November 28-30, Abstracts Section (ii). pp. 2-3. Prodhan AKMA, Hossain MZ and Sarwar AKM Golam. 1998. Stem anatomy of Sesbania formosa. The 20th Bangladesh Science Conf., Bangladesh University of Engineering and Technology, Dhaka, November 28-30, Abstracts Section (ii). pp. 3-4.